Club Brugge Koninklijke Voetbalvereniging is arguably the most well known Belgian club to English football supporters. This would stem from their two European final defeats to that great Liverpool side of the seventies, Club losing both the 1976 UEFA Cup Final (4-3 over two legs) and two years later the European Cup Final (1-0 at Wembley) to the men from Anfield. In football, hard work pays off in the end. We play football in a team, as a team. Winning is important, but the way you win makes all the difference. The game takes place on the field, but winning is a team effort on and off the field. The club was originally formed by old boys of two Bruges schools, the Broeders Xavarianen and the Koninklijk Athenium. 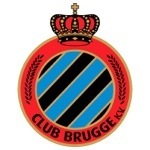 FC Brugeois merged with Brugsche FC in 1897 and again five years later with Vlasmsche FC. In 1912 the club moved into their legendary home of De Klokke which would later be renamed the Albert Dyserynckstadion in honour of their president who died suddenly in 1931. The club spent the inter-war years in Division Two but following promotion to the top flight in 1959, Club have remained Pro League stalwarts ever since. 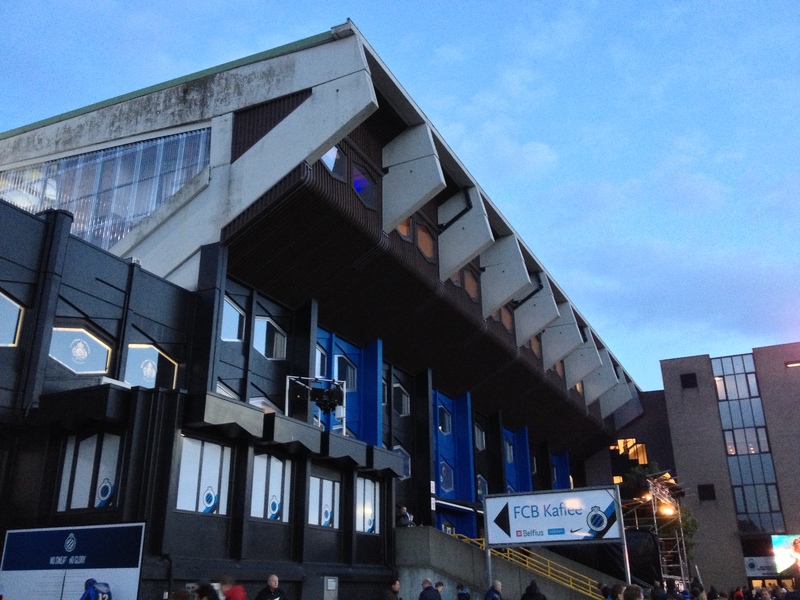 RFC Brugeois changed their name to the Flemish version of Club Brugge KV in 1972 and began a golden period which saw five Belgian titles won during the seventies, mainly under the tutelage of Ernst Happel. 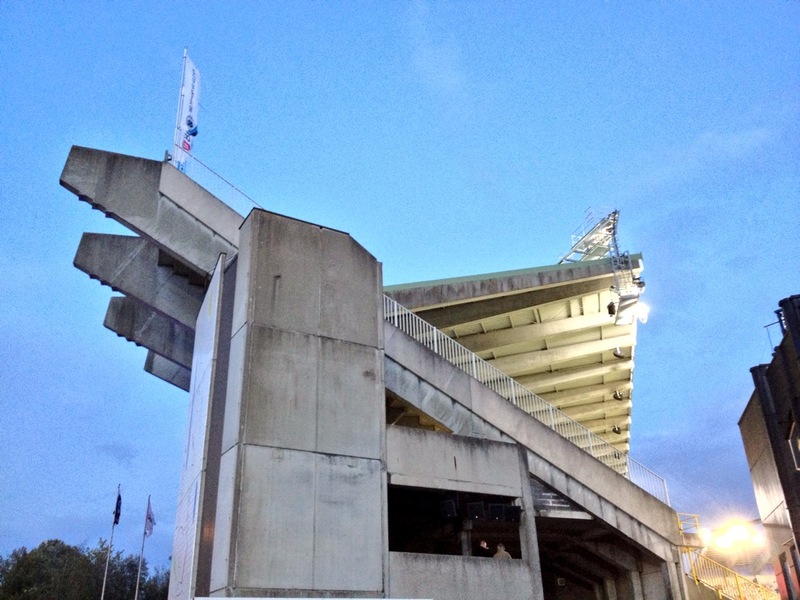 In 1975 the club moved into the newly opened Olympiastadion which they share with city neighbours Cercle. 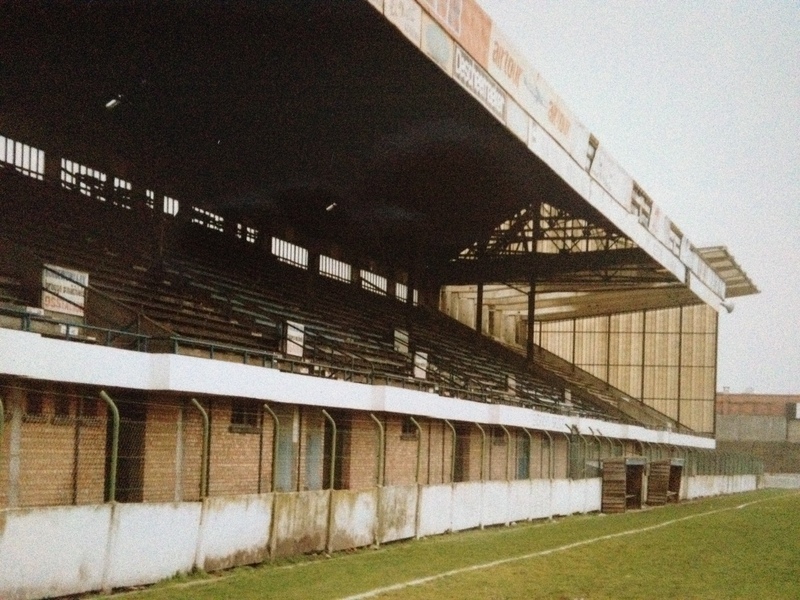 The old Klokke ground would survive for many more years, mainly used by amateur teams, before sadly being demolished in 1999. 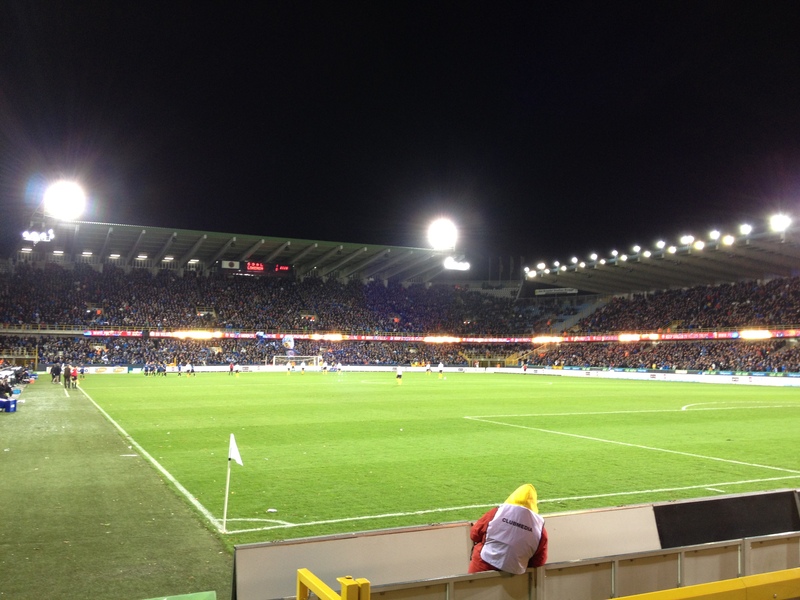 The new stadium is in the Sint-Andries area of Bruges and is owned by the city. Starkly of its architectural era, all pre-cast concrete and cantilevered roofs it has a capacity just shy of 30,000. 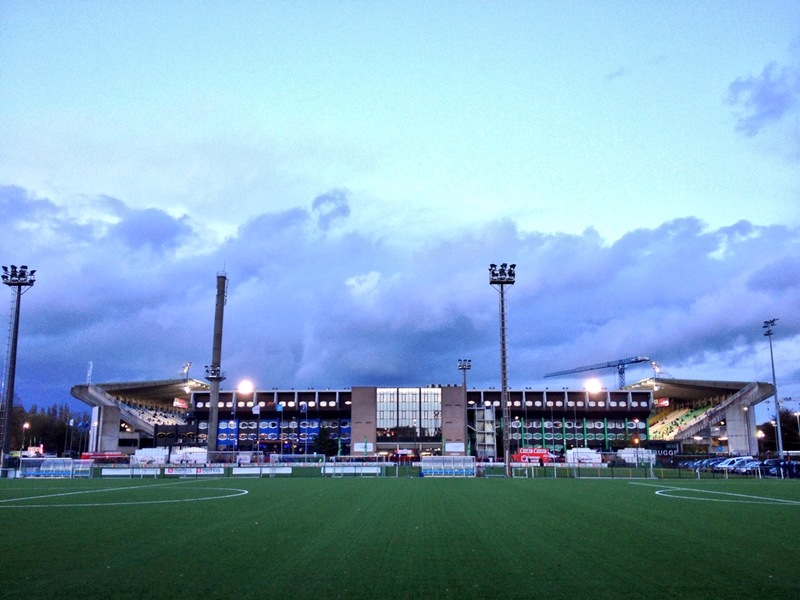 The stadium was renovated for the 2000 European Championships and was re-christened the Jan Breydelstadion. Breydel was an insurgent Flemish militiaman who was instrumental in the Bruges Matins, a night time massacre at a French garrison that pre-empted the Battle of the Golden Spurs in 1302. Traditionally Club attract gates of roughly three times more than Cercle to this stadium. Tonight’s game against a plucky KSC Lokeren side is a tight affair, a 21st minute goal from striker Tom De Sutter opens the scoring and is enough to secure three points for the hosts as Lokeren fail to breakdown a stoic home rearguard. You will either love or hate the Jan Breydelstadion, some say its already looking dated given its relatively recent vintage. Also with its high sided open corners and uncovered lower tiers, it’s not the most weatherproof stadium around. Others will love it for its audaciousness in concrete design and its twin colouring of blue for Club and green for Cercle. Which ever camp you fall in you have to admire the “No Sweat, No Glory” ethic Club Brugge try to promote as well as their undoubtedly deserved place in European football history. 21. Mathew Ryan; 4. Óscar Duarte; 28. Laurens De Bock; 40. Bjorn Engels; 3. Timmy Simons (c); 32. Valdes Odjidja-Ofoe; 17. Waldemir Sobota; 19. Thomas Meunier; 13. Victor Vázquez; 16. Maxime Lestienne; 9. Tom De Sutter. Subs: 8. Lior Refaelov (for 17,86 mins); 10. Jesper Jørgensen (for 13,79 mins); 22. Eidur Gudjohnsen (for 9,69 mins); 33. Vladan Kujović; 41. Birger Verstaete; 44. Brandon Mechele; 90. Kehinde Fatai. 1. Boubacar Barry; 13. Georgios Galitsios; 4. Jérémy Taravel; 3. Denis Odai; 2. Alexander Scholz; 8. Koen Persoons; 7. Killian Overmeire (c); 24. Ayanda Patosi; 29. Nill De Pauw; 9. Hamdi Harbaoui; 20. Hans Vanaken. Subs: 10. Ivan Leko; 19. Junior Dutra (for 7,72 mins); 22. Djordje Despotović; 23. Eugene Ansah (for 24,85 mins); 25.Alexander Corryn; 26. Cédric Mingiedi; 30. Davino Verhulst. 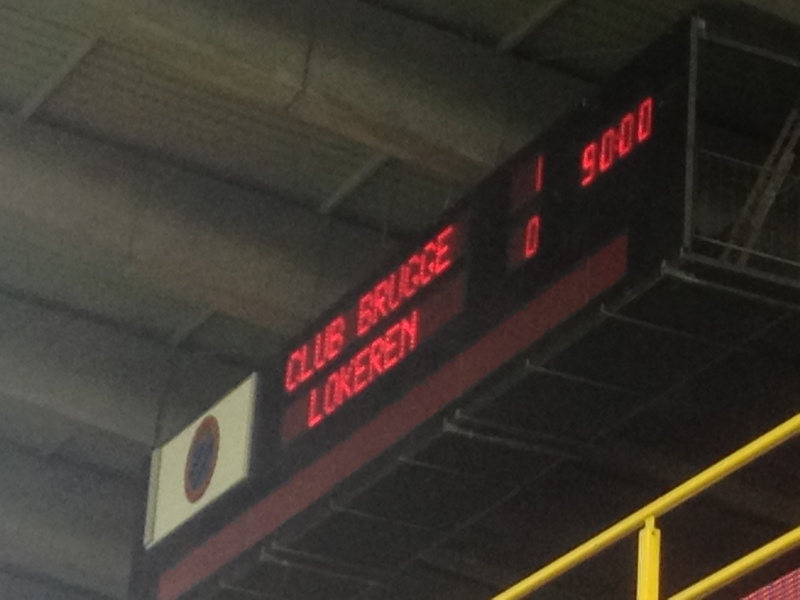 Yellow Cards: Sobota, Lestienne (Club); Galitsios, Vanaken, Overmeire, Harbaoui (Lokeren).